My daughter has never been able to recall a dream. She is having some anxiety about not being able to dream or recall dreams. She said, "Mom, all I see is black, I never have dreams." I'm worried about her and do not know what to do. She gets 10 hours of sleep a night and does not wake up during the middle of the night (that I am aware of). I'm wondering if it's possible for a person not to have REM sleep?? Or if she just can't recall any of her dreams. Any input would be appreciated. Kevin: Hi Deb, Thanks for writing in! I imagine it is most likely that your daughter is just sleeping so well through the night that she doesn't recall any of her dreams. 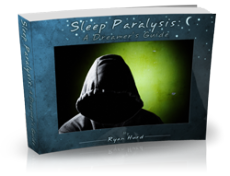 We are most likely to remember our dreams when we are woken up during a REM sleep phase. For this reason we can expect people who wake often in the middle of the night or who are sleep deprived to remember more of their dreams. At 8 years old, your daughter is at the age when we humans are typically sleeping our best. If she is sleeping 10 hours all the way through the night and is waking naturally, she may not ever be waking from REM sleep. But that doesn't mean she's not having it! We do all have REM sleep to my knowledge. In fact, when we have less of it our body responds by giving us a 'REM rebound' where we have more REM sleep the next nights to make up for the loss. This seems to suggest that REM sleep is actually a quite necessary stage of sleep for us. If you would like to convince yourself more that your daughter is having REM sleep, there is a neat headband called the Zeo that you and your daughter can wear at night. 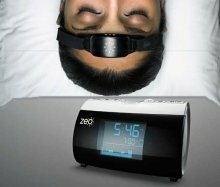 It reads your brain waves while you sleep, just like in polysomnography, and gives you a report in the morning of how you progressed through each stage of sleep. If you're interested, you can find it here on Amazon.